Vacuum noise is quantum noise related to the zero-point fluctuations of the electric field in the vacuum state. Such fluctuations exist even though the vacuum state has a photon number of zero. 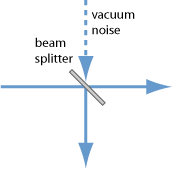 Figure 1: When a beam splitter is used to attenuate a beam, vacuum noise enters via the open port. Despite being fairly weak, vacuum noise can affect the noise properties or even the essential function of optical devices. 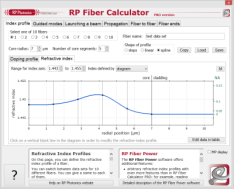 For example, parametric generation can be considered as the effect of amplifying vacuum noise to macroscopic power levels in a high-gain optical parametric amplifier. Also, the process of spontaneous emission can (in a semiclassical picture) be interpreted as being stimulated by vacuum noise. Any linear losses acting on a light beam introduce vacuum noise, rather than simply attenuating the quantum noise together with the average amplitude. This is most obvious for attenuation with a beam splitter, which can be understood to mix a portion of the input beam with vacuum noise from the unused input port (Figure 1). However, vacuum noise is also introduced by any other kind of linear attenuation, e.g. via absorption in a medium. In effect, linear attenuation brings, e.g., squeezed light closer to a coherent state.